Aerial view looking straight down while ascending directly above rapeseed crop in Skane, Sweden. 4k00:124K Abstract Swirling Particles. 3D CGI Simulation. 4k00:15Aerial top view. 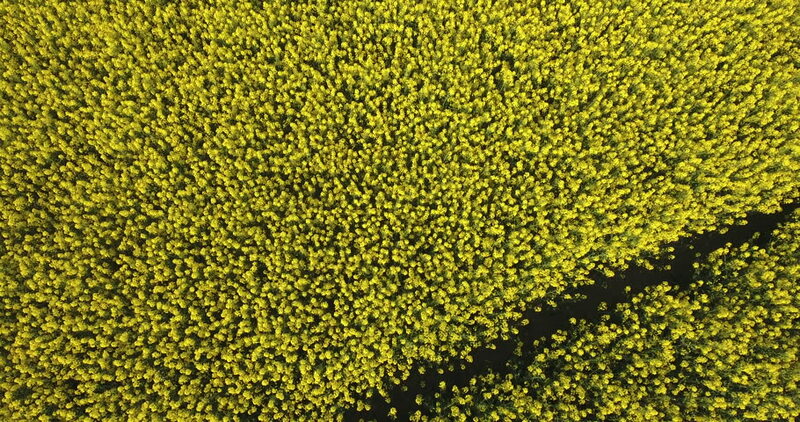 Flight over Field with flowering Canola flowers.